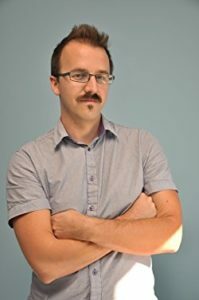 On this episode, we caught up with George Ciccariello-Maher, a radical professor, organizer, and author of the recent book, Decolonizing Dialectics. We discuss both their coming under fire from Alt-Right trolls after mocking the concept of ‘white genocide’ on social media, but also discuss the notion of free speech itself. We talk about his recent appearance on the Tucker Carlson Show, before getting into more pressing subjects of contemporary life and politics in the United States. Towards this end, we take on the Trump Administration and their recent moves to appoint both Sheriff Clarke and Joe Lieberman into the Department of Homeland Security and the FBI, as well as touch on the much hated proposed health care plan, the AHCA. Much of our interview grapples with the intersections of race and class, as Ciccariello advises that we cannot separate these fundamental material realities from each other, especially when we struggle against them. We close looking towards the future, thinking about both the continuous breakdown of State legitimacy as well as its infrastructure, but also thinking about the struggles and eruptions that lay possibly, just around the corner. Follow George on Twitter here.